To summer camp, or not to summer camp? 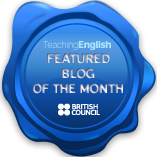 This is another guest post from Josh Widdows to all English teachers looking for summer work. Thinking about what to do this summer? Want to earn some good cash doing a job that will further your teaching career and put you in a better position next September? Then being an English Teacher at a reputable and renowned summer school is the way forward! Is that the question? Well, it doesn’t need to be any more – the answer is YES! Every teacher has heard horror stories of being stuck in a summer camp teaching groups twice the size of that the job spec promised. Over-worked and underpaid are just some of the negative words that spring to mind. Being contracted to work 12 ‘sessions’ a week, but ending up working every hour God sends and basically babysitting the little darlings. But, don’t be deterred. Thames Valley Summer Schools offer teachers the chance to work for a reputable, long-standing and thoroughly rewarding summer camp, dispelling the myths of hardship and exhaustion. At TVSS being a team-player and ensuring you get what you want out of a summer school is at the heart of what they do. So, you’ve done the hard bit, the CELTA or the CertTESOL and you’ve got at least an academic year’s experience under your belt. Your ´year-long´ academy, (in some far-flung sunny destination), doesn’t provide you with work over the summer, and you’re wondering what to do with three months off. If you’re looking for the opportunity to get more experience working with young learners, develop your skills and stand yourself in good stead for a better-paid job back in the EFL world come September, then Thames Valley is the one for you. Earning a competitive weekly salary, eating healthy, well-prepared food on-site, sleeping in your own bedroom, and being closely-located to London, (except Rugby, albeit only a 2-hour train ride away), you’ll barely spend a penny. What better way to save up some good cash for your summer adventures? You still have just a few questions, right? Of course you do, you’re an inquisitive teacher looking for summer work that you’ll enjoy and get a lot out of. Remember, you’re going to be teaching in a multi-lingual context, away from the dramas of your mono-lingual teaching environment of bickering Italian or Korean teens. TVSS has a team of supportive and experienced management and academic staff who will guide you in your planning and teaching to deliver fun and engaging lessons. Being a residential camp, you’ll still have your work cut out. But, you can rest assured that at TVSS you will only teach about 17 hours a week and work a maximum of 11 sessions, (which is much less than other schools). That works out at about 55 hours a week – not that bad right? You’ll have some free time to plan lessons, chill out in your room or in the grounds, or get away from it all and go to London. And a mega ´plus´ is that most schools are only a maximum of 3-4 weeks, so burn-out isn’t an issue. There are more questions, aren’t there? Will I be involved in recreation and social activities? You´re at a residential summer school, so naturally, you’ll be participating in them, but there´s no need to worry. This school goes above and beyond to make sure you’re placed where your skills and talents lie. If you’re good at volleyball and rugby, don’t be shy to put yourself forward. If you see yourself as a calmer, creative type, then arts and crafts will be your station. Whatever tickles your fancy, being a team-player is central to the role, so be ready to get involved with whatever is going on at any given moment. Still think you’re up for a challenging, yet fun and rewarding chance to further your teaching experience and have lots of laughs while you’re at it? Thames Valley is waiting for your application. Don’t forget to put: ‘Recommendation & Tim’s Free Lesson Plans’ in the ‘Where did you hear about us’ field on your form: https://www.thamesvalleysummer.com/work-for-us.aspx .